Fashion Weeks are by far the highlights of my year – every year! As you all know, I am a fashion fanatic, so when I heard that I had been offered a position at London Fashion Week there were no words to explain how excited I was. I was beyond over the moon, after all, LFW is one of the highest profile fashion events in the world and one of the ‘big four’ international catwalk influencers. London Fashion Week has been on my Bucket List (of events to work at) for a while now and I consider it a major achievement to have been given the opportunity to work with so many talented designers, magazine editors, producers and well-known models. 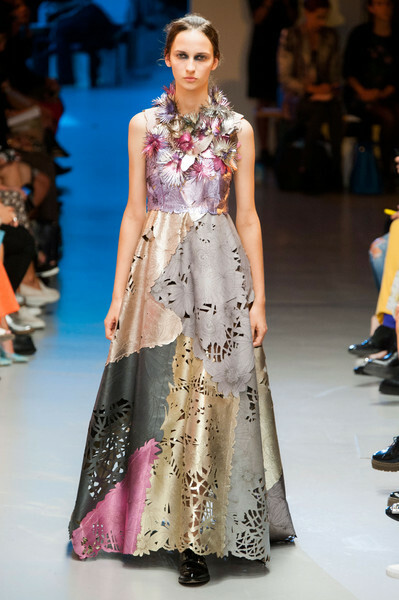 I will be blogging about two design houses, in particular, whose S/S 2015 collections really stood out for me. Some of the biggest names in fashion took us by storm with their collections. Particularly, everyones favourite, Burberry, who put on an amazing show with so much print and colour.